The Congolese artist Bodys Isek Kingelez died in 2015, but he has never been more alive. Majestic and meaningful in every way, the City Dreams exhibition, which opens on Saturday and closes on New Year’s Day 2019, is the Museum of Modern Art’s New York homage to the late Kinshasa master, who first came to prominence in 1989, with the seminal Magiciens de la terre exhibition in Paris. The curators of that show, Jean-Hubert Martin, Mark Francis, Aline Luque, and André Magnin, had included six Kingelez sculptures in Magiciens, which, nearly 30 years later, is now seen by many art historians as having cemented the architecture of influence that many prominent non-Western artists can now be traced back to. A gift that keeps on giving, Magiciens was the radical art show that gave birth to dozens of (less radical) art shows all over the world. 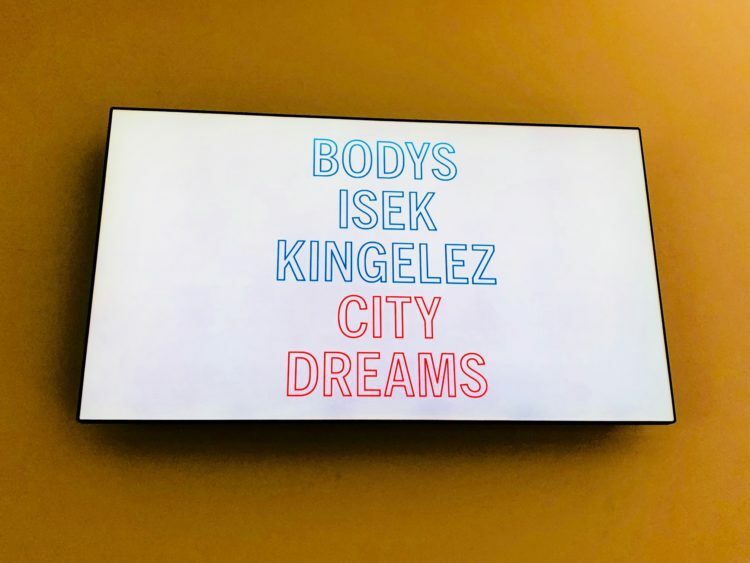 When I saw that show, I was a culturally-aware teenager growing up in Paris—and trying to figure out both the ancestry and modernity in my own African identity. I remember the wondrous feeling of discovery that came with my newfound cosmopolitan curiosity. Never, in the European societies I was coming of age in, had I seen African—or Asian or Latin American—artists celebrated in this raw and unvarnished way. Never had I so related to a selection of artists I’d never heard of—but felt I’d known forever. Magiciens ended up shaping my sensibilities and aesthetics (and career choices) in more ways than I could ever imagine. Five years after I saw Magiciens in Paris, I was living in London, as a newly married husband to a 19 year-old French-Cameroonian woman who’d followed me from Paris to London after a chance encounter we both called love at first sight. Inspired by Jean-François Bizot—the Paris-based magazine publisher whose editorial choices happened to have influenced the Magiciens curators through his alternative culture monthly Actuel—I began writing hip hop reviews and rapper profiles for Actuel, as a London-based freelance correspondent. The next year, I became a budding editor and publisher with the launch of my own underground magazine, True, and my young wife took a job as an assistant to Magnin, one of the curators of Magiciens, who had started assembling a contemporary African art collection for Jean Pigozzi, the wealthy French collector who is known for having purchased hundreds of early pieces by contemporary African artists such as Seydou Keïta, Malick Sidibé, and Kingelez. My wife was all about Kingelez. She couldn’t stop talking about him, his work, his process, or his personality. I used to think she had a crush on him, but when I got to spend time with his sculptures—charting his evolution since Magiciens—I understood why and how he’d been so ahead of his time. 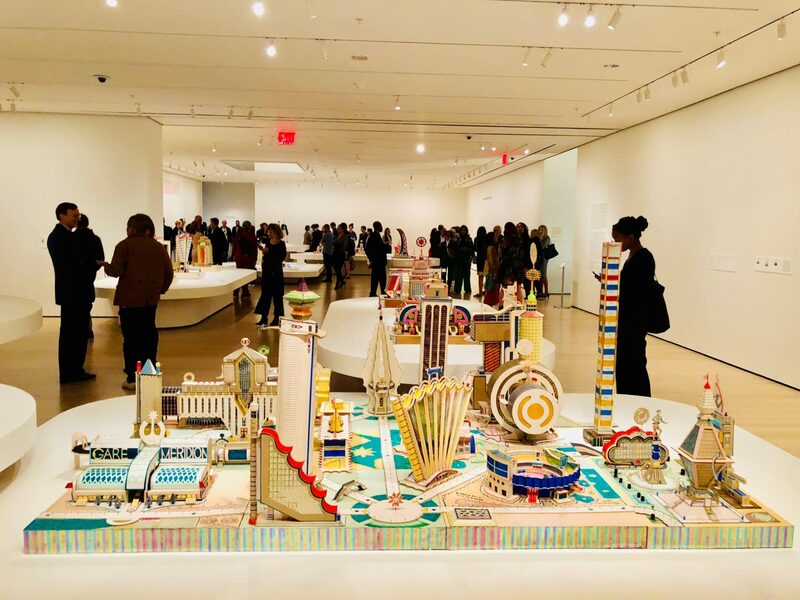 Twenty years after my (now ex) wife reintroduced me to Kingelez when she was working under Magnin, I revisited part of the Kingelez body of work at the MoMA private view, this time through the curatorial eye of exhibition organizer Sarah Suzuki. At the private view, I’d taken a few photos before I ran into Magnin, who was interviewed for the catalog. I told Magnin how proud (and surprised) Kingelez would have been to see his name on the walls of MoMA’s third floor. Clocking those geometric sculptures from different angles and with the appropriate lighting as I snapped photos on my iPhone, I finally figured out why I’d been so drawn to Kingelez in the first place. 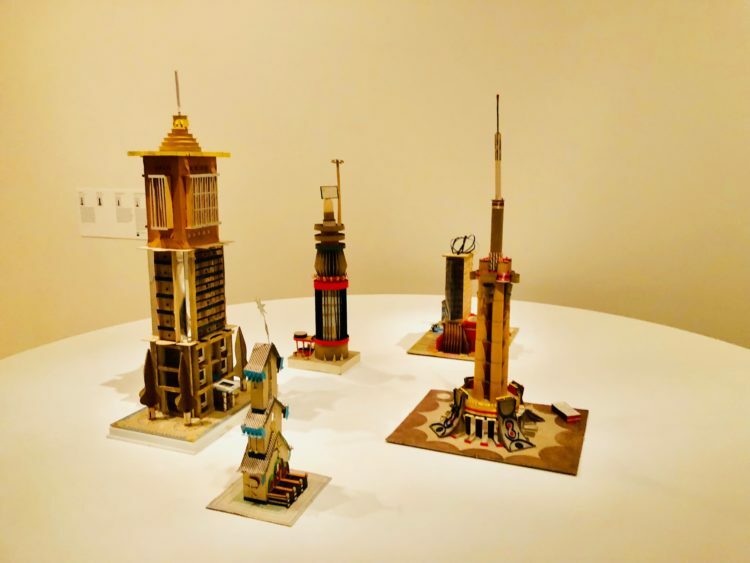 His so-called “extreme maquettes” (where he repurposed paper, soda cans and all kinds of found objects and materials) alluded to a utopian vision of urban African landscapes, with evocative titles like Kinshasa la Belle (Kinshasa the Beautiful) telling stories of harmony and ambition. Years before recycling became a way of life, or a moral imperative, Kingelez saw in Coca-Cola cans and discarded plastic bottles the raw material for a creative, ecological expression of what African cities could or should have become had citizens and authorities paid attention to their surroundings and dreamt bigger dreams. An activist at heart, Kingelez once said that a visionary “is someone who dreams of what doesn’t exist yet.” Prolific and prescient until his death, he produced more than 3,000 works over a 25-year period. 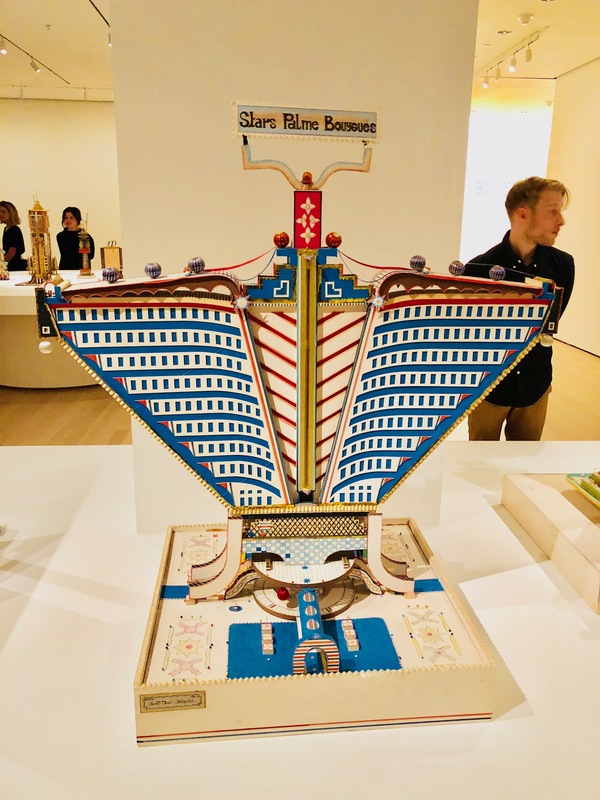 The two Kingelez pieces I love the most—Bel Atlas and Stars Palme Bouygues—were created in Paris in 1989, the year of Magiciens, which happens to also be the year of the bicentennial of the French revolution. Both sculptures are included in this exhibition. Inspired by the Grande Arche de la Défense, a landmark tower facing the Arc de Triomphe all the way from the La Défense business district on the outskirts of Paris, Bel Atlas and Stars Palme Bouygues are simple, stylish and symmetrical structures made of paper, paperboard, and other various materials. 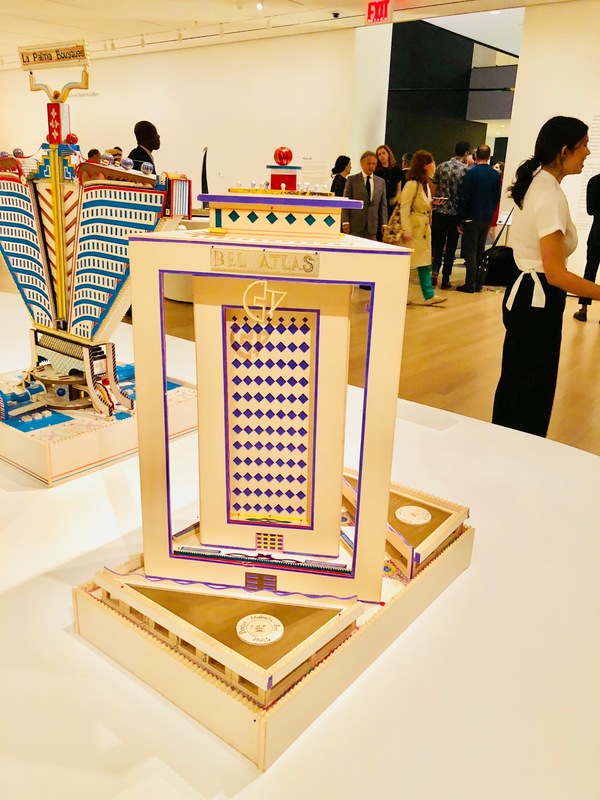 I just love how, with those two pieces, Kingelez seized on the historical significance of a cultural milestone and decided, in turn, to mount a defiant reinterpretation of metropolitan aspirations. For a playlist inspired by Kingelez’s milieu in Kinshasa, go to mo.ma/kingelez-spotify or mo.ma/kingelez-apple.